Distracted driving is a growing problem that warrants our attention (pun intended). In fact, the National Safety Council reported that more than 3,000 people are killed on U.S. roads every year because of distracted driving. Although distracted driving encompasses many factors, one of the primary causes of our inattentiveness is using a mobile device. Studies have shown that “multitasking” is a myth and the risk of crashing is about four times greater than when not using a phone while driving, even when engaged in a hands-free phone conversation. Many companies have rightly implemented safety policies to prevent employees from using hand-held devices while driving. And with more than 32 million pledges to date, the “It Can Wait” campaign has raised plenty of awareness about the need to drive distraction free. Yet, there is no guarantee personal and professional drivers will strictly adhere to company policy or simply do the right thing once they hit the road. That’s why encouraging appropriate driver behavior through safety technologies has the potential to play a crucial role in curbing distracted driving. People and companies can now use technologies that override or pre-empt incoming calls, text messages and notifications. 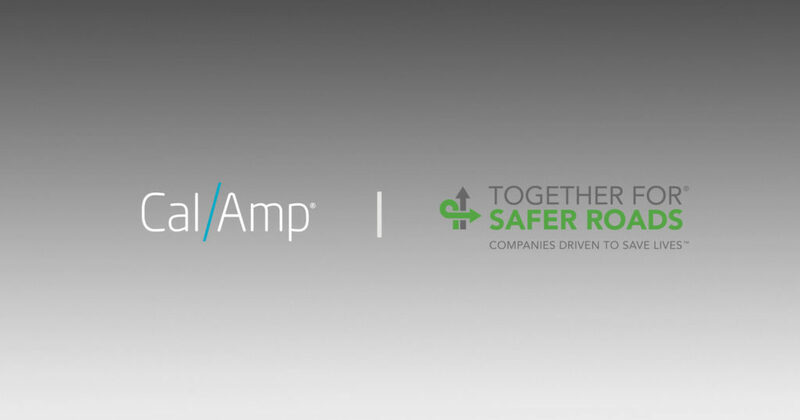 Most recently, CalAmp chose to invest in the deployment of a network-based distracted driving avoidance technology in its vehicle safety application suite in partnership with Katasi. At Together for Safer Roads, we are eager to see this suite of effective interventions gain traction and encourage companies of all sizes to consider deploying these solutions. Though distracted driving is a formidable factor in behavior-related collisions, we know it’s not the only concern we must guard against; companies, especially those operating long-haul fleets, must also be wary of driver fatigue. It’s no surprise that TSR members tell us driver fatigue is more common than we’d like and is often underestimated in terms of its impact on driver behavior. Driver fatigue, although difficult to quantify, is now recognized as one of the single greatest cause of safety incidents across a wide range of industries, including transportation. Some studies have estimated that up to 40 percent of commercial trucking incidents involve driver fatigue. That’s where another group of advanced technologies come in. Vehicle-based solutions like lane departure warning systems and automatic emergency braking systems are reaching the market in larger numbers thanks to the upgrading of fleets. These technologies help to alert drivers of unintended lane departures and close following, drifting into adjacent lanes or oncoming traffic, veering too close to the shoulder, or misjudging the safest distance between vehicles. Fatigued or inattentive drivers can be alerted in many effective ways, by an audible alert or vibrating the driver’s seat, reducing the vehicles speed automatically and giving the driver time to adjust and avoid a collision. It’s even becoming possible now to capture sleep data or observe driver facial movements to monitor, detect and reduce drivers’ fatigue directly and take corrective action. There’s no doubt that we’re moving toward an increasingly interconnected and demanding transportation ecosystem, a world where multiple forms of behavior-related incidents persist, especially distracted driving and driver fatigue. Companies must work to combat these challenges by incorporating safety technologies into their safety cultures to keep their drivers and other road users safe. With a mix of time and resources, employees will become comfortable with the transition and integration of technologies. But most importantly, companies must make a concerted effort to foster an environment that encourages safety technologies to become a part of the fabric of the company and an expected benefit to employees. To learn more about the necessary steps needed to utilize technology to curb distracted driving and driver fatigue, read Together for Safer Roads’ technology report, at www.togetherforsaferroads.org/technology.